Sir Philip Buxton raised three girls into beautiful and capable young women in a bohemian household that defied Edwardian tradition. Eldest sister Rowena was taught to value people, not wealth or status. But everything she believes will be tested when Sir Philip dies, and the girls must live under their uncle’s guardianship at the vast family estate, Summerset Abbey. Standing up for a beloved family member sequestered to the “underclass” in this privileged new world, and drawn into the Cunning Coterie, an exclusive social circle of aristocratic “rebels,” Rowena must decide where her true passions—and loyalties—lie. Prudence was lovingly brought up alongside Victoria and Rowena, and their bond is as strong as blood. But by birth she is a governess’s daughter, and to the lord of Summerset Abbey, that makes her a commoner who must take her true place in society—as lady’s maid to her beloved “sisters.” But Pru doesn’t belong in the downstairs world of the household staff any more than she belongs upstairs with the Buxton girls. And when a young lord catches her eye, she begins to wonder if she’ll ever truly carve out a place for herself at Summerset Abbey. First, and rather shallowly of me, the covers for these three novels are GORGEOUS! The Belle Époque has always been one of my favorite times in history (though I have many. But, come on, the costumes! Budding technology! Historical amazements!). I haven’t had the pleasure to watch Downton Abbey, but I’ve enjoyed several films and books that take place (and were written) during these years. I was really pleased to see how each of the three main characters navigated the time period growing into strong independent women against an incredible historical background. Teri writes with such rich detail that I couldn’t help but be swept up and read them all over the span of a long weekend. It’s interesting that I’ve been reading more contemporary lately because as I’ve said before I love fantasy, but I recommend these to anyone who likes this time period, strong heroines, and engaging story-telling. These books are definitely ones that cross the boundary from adult to YA. The youngest protagonist begins in her teens and ends at, I believe, 19. They’re not graphically violent or sexual, and would appeal to readers of all ages. In fact, I think our own Audrey would love them. Through the power of Twitter I discovered her books. Teri was kind enough to let me ask her a few questions about her Summerset Abbey trilogy. Viva les médias sociaux! 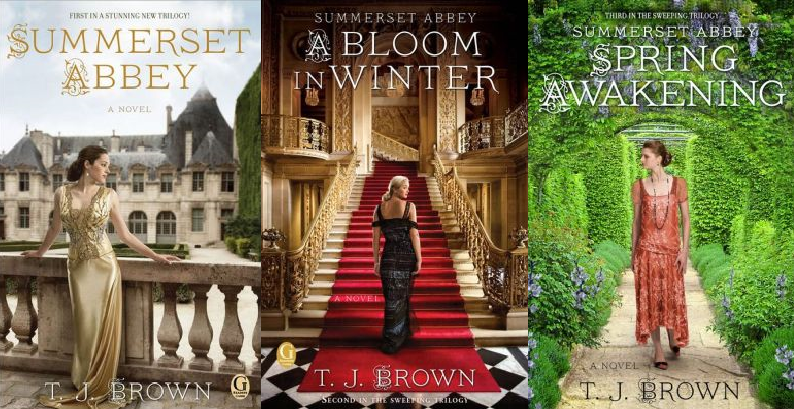 The Summerset Abbey trilogy takes place during what the French call the Belle Époque (Americans call it the “Gilded Age” and the English call it the “Edwardian Age”, but I like the French version best). What drew you to this time period in particular to set your novels? I’ve always loved this time period even before I knew it was a time period! I look back at the books I read as a child and so many of my favorites take place in the late 1800’s early or 1900’s like, Amanda Miranda by Richard Peck, A Tree Grows in Brooklyn by Betty Smith or So Big by Edna Ferber. When I saw Downton Abbey I realized that it was actually the Edwardian Period and I knew I wanted to write a series about it. The costumes, settings, autos, and jewelry are richly drawn. How much research did you do to write this trilogy? I did a lot of Research, but I was on a very tight writing schedule as well. I took a class from a woman who was an expert in the period and then hired her to help me with research duties. Whenever I had a question, I would just shoot it off to her and she would get on it. That way I was able to finish the stories and go back in an layer more details. That’s pretty much the way I work with all my historicals… story, characters and plot first, then details. Throughout each book, Rowena, Victoria, and Prudence take over narrating duties. Did you write the book linearly and change perspectives according to story demands, or … ? I wrote each book from start to finish. They seemed to come very organically for me. Of course, I was fighting cancer during the writing of these books and with the back to back deadlines, there was no way for me to write any other way! Only a few times would I have to go back and rewrite a scene in someone else’s POV. This was written as a trilogy, but each book could certainly be read as a stand-alone. However, how much of each main characters’ end journey did you know before you started? Honestly, I knew very little about their individual journeys when I first started the trilogy. I think of each of the books as focusing on one particular character arc, though they all grow during each book. For instance, The first books was Prudence’s book. The second was Victoria’s and Rowena got the final book, though Kit and Victoria didn’t get their happy ending either until the third book, but I think Victoria did most of her growing in book two. I’m currently researching and working on an adult novel called Saffron Skies which takes place in 1911 India. It’s about a sharp tongued young woman who was a part of the “Fishing Fleet”, which is what they called women who went husband hunting in India during the time of the British Raj. She falls in love with a half English half Indian clerk and all sorts of troubles ensue. The research has been wonderful fun. Thank you so much, Teri, for talking to me about your process with this trilogy! I also discovered that Teri also writes YA books. Born of Illusion is currently sitting in my tbr pile. Check it, and her historical novels out, at your local bookstore or library. 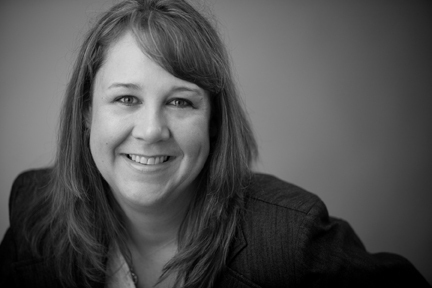 About the author: Teri Brown is proud of her two children but coming in a close second is the fact that she parachuted out of a plane and beat the original Legend of Zelda video game. She is a word scribbler, head banger, math hater, book reader, rule breaker, food fixer, novel writer, kitty keeper, and city slicker. Teri lives with her husband and way too many pets in Portland, Oregon. IT’S BEEN SIX MONTHS SINCE THE FOUR OF US START ED CONTRIBUTING REGULARLY TO CIMMERIAN TALES. THIS IS OUR THIRD PROCESS CHAT — WE TALK ABOUT WHAT WE DO DIFFERENTLY WHEN WE WRITE LONG, RETURNING TO CHARACTERS WE HAVEN’T SEEN IN MONTHS, AND HOW THE SEASONS PLAY INTO OUR PROMPTS. ENJOY! Who are a few of your favorite writers, or writers after whom you model your work? Jen: Everyone is going to get tired of listening to me talking about Maggie Stiefvater, so I’m just going to say Maggie Stiefvater, and that’s it. Julie: I still need to read her. I could name a million people. Jen: I think I could, too. Audrey: I don’t know that I model my work on anyone (mostly because I’m not that talented), but I love Ernest Hemingway, Ray Bradbury, Gail Carson Levine, Maria V. Snyder, Phillipa Gregory. I could go on and on, too. Julie: I’d say top of my favorites list would be Margaret Atwood, Neil Gaiman, Ursula K. Le Guin. I always feel inspired when I read Kelly Link’s short stories, and my hands-down favorite books as a kid were the His Dark Materials trilogy. Anne: The authors that influenced me when I was younger were: Stephen King, Anne Rice, Peter Beagle, Gaston Leroux, and Emily Brontë. Authors that influence me now are: Holly Black, Kristin Cashore, Neil Gaiman, and about a dozen more. Audrey: I still need to read her. Anne gave me a book. Anne: Her writing is sparse, but it’s so rich and deep. Julie: I should pick her up, too. WELCOME TO OUR FIRST GROUP CHAT ABOUT PROCESS! 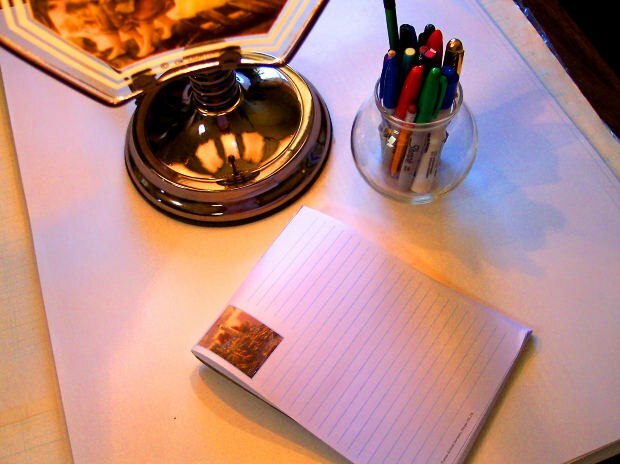 PLEASE TAKE A MINUTE TO INTRODUCE YOURSELF AND TELL US WHAT YOU WRITE. JEN: I’m Jen. I write about shape-shifters and kissing, apparently, but not exclusively. ANNE: Bonjour! I’m Anne, and I write the things in my dreams. Also things that have happened to me. Also things that are bloody. Also, I like to say also. JULIE: I’m Julie and I write about whatever strikes me, and often that is relationships, gender, and things that don’t exist in real life. Sometimes wolves. AUDREY: Hello! I’m Audrey and I write YA fiction. I like to write romance and dark things, preferably together.